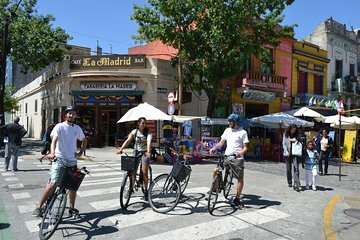 Explore the southern part of Buenos Aires on this 4-hour guided bike tour. Visit Plaza de Mayo and the historic center to learn about the city’s past. See the modern, stylish area of Puerto Madero; the colorful streets of La Boca; the Bombonera, home to soccer team Boca Juniors; and scenic San Telmo. Take a break to sip mate and snack on traditional alfajores.